Cardinal Müller thinks Pope surrounds himself with spies and informers. "What the priestly fraternity is most destroyed by is gossip. Gossip is a "terrorist act," because you are throwing a bomb with the talk, destroying the other while you are quite calm. Therefore, it is necessary to protect priestly fraternity. Please, no gossip. It would be very good to have a sign at the entrance: 'No gossip'. Here (in the Apostolic Palace) is the image of Our Lady of Silence, in the elevator of the first floor; the Mother of God says, 'No gossip.' This is the message to the Curia. Observe it likewise. " The reality practiced by the Pope does not seem to agree with his request ("message"), according to Cardinal Gerhard Müller. Massimo Franco first referred to the statements of Cardinal Müller that the reigning Pope had reached the Chair of St Peter on a wave of "scandals." Franco then quoted the Cardinal's statements, which he made in an interview published by Edward Pentin at the beginning of October in the National Catholic Register. Cardinal Müller expressed clear reservations about the people surrounding Pope Francis. Francis receives his information about what is happening in the Congregations and offices of the Curia, not from the Prefects and responsible directors, but from spies and informers. Massimo Franco: In this interview, you also said that the Pope is surrounded by some spies who report directly to the Holy Father every criticism, even the smallest, which is opposed to him, and that provokes a rather harsh reaction from the pope, that many are dismissed because of these anonymous actions. Do you see this as a strong threat to the Papacy? Cardinal Gerhard Müller: I did not want to speak publicly about such things. In our case, however, there were three good members of our Congregation, persons with full authority in Church law and a good spiritual life as priests. I was really astonished, for the very fact that the Pope was interfering in such matters. The state president, who looks after the employees in any ministry. Someone had gone to the Pope and has spoken badly about these people without concrete arguments. He had not spoken to me as the responsible person. I asked him what accusations and evidence there were, but he gave me no answer. The people could not imagine why it was rumoured that they would had done something, otherwise they would not have been sent away. That's why, in my position as the person responsible, I felt compelled to defend the good reputation of these three people. Massimo Franco: Your defence, as it seems to me, did not help. Cardinal Gerhard Müller: No, in the end, it did not help at all. Massimo Franco: Because the Pope was determined to dismiss them? Cardinal Gerhard Müller: Right, to dismiss them. Massimo Franco: But What I wanted to understand is that today there are many of these people around the Pope who, as you say, slander. What is your impression? Cardinal Gerhard Müller: I have only the examples and hear from other dicasteries that the Prefect, although the chief person responsible, is not the Pope's interlocutor, but there are other ways behind the scenes. That does not seem good to me. I think everyone has his rank and responsibility and that should not be circumvented. 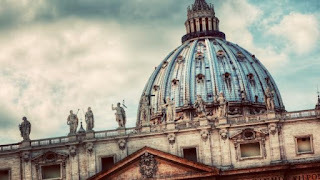 Massimo Franco: You say that the Pope does not get to know about the activities in the Congregations via the Prefects, but via people who seem to enjoy his confidence but who, according to your opinion, are not the appropriate channels for the Pope to receive information. Is that correct? Cardinal Gerhard Müller: That is how it happened in my Cngregation. Massimo Franco: That is how it happened in your congregation. So, you have felt a bit passed over? You felt betrayed?